This was first published at Socialist Alternative. Of the millions of people who have risen up in revolt across the Arab world these past 19 months, few have suffered as much for their courage as the revolutionaries fighting the Assad dictatorship in Syria. The decision of Bashar al-Assad’s regime to use the full force of his security forces against what was a largely peaceful protest movement has transformed the uprising into a full blown civil war, in which up to 20,000 people have died. Yet the Syrian revolution – in the eyes of some on the left – lacks legitimacy. The uprising is denounced as a Western plot, a CIA- or Israeli-backed conspiracy to overthrow a regime that defends the Palestinians. Those fighting Assad’s troops on the ground are condemned as stooges of outside forces – variously Saudi Arabia, the US, Israel and Al Qaeda, among others. In the West, open support for Assad has been mostly confined to hardline Stalinists or a minority of Assad loyalists among the Palestinian movement. Most on the left initially took a version of what has been called the “third way” – support for the revolution, combined with opposition to imperialist intervention from the West. But over the last few months, this “third way” has begun to crack apart. Prominent British leftists Tariq Ali and George Galloway have come out stridently in opposition to the insurrectionary aims of the uprising, claiming that the revolution has been taken over by reactionaries and arguing that a negotiated settlement with the regime is the only answer. Ali, in an interview with Russia Today, said the choice was between a “Western imposed regime, composed of sundry Syrians who work for the Western intelligence agencies…or the Assad regime.” Galloway, the left populist MP best known as a campaigner against the Iraq war, goes even further, denouncing the Syrian resistance for not accepting the peace plan advanced by the UN. Much of this left-agonising about the Syrian revolt reflects the legacy of Stalinism, which led many to identify leftism with various despotic but “anti-imperialist” regimes that opposed the West and oppressed their own people in equal measure. But others on the left not weighed down by the legacy of Stalinism echo Galloway’s attitude over Syria. John Rees, until a few years ago a leading member of the Socialist Workers’ Party, wrote last month that he was in “broad agreement” with Galloway and Ali. 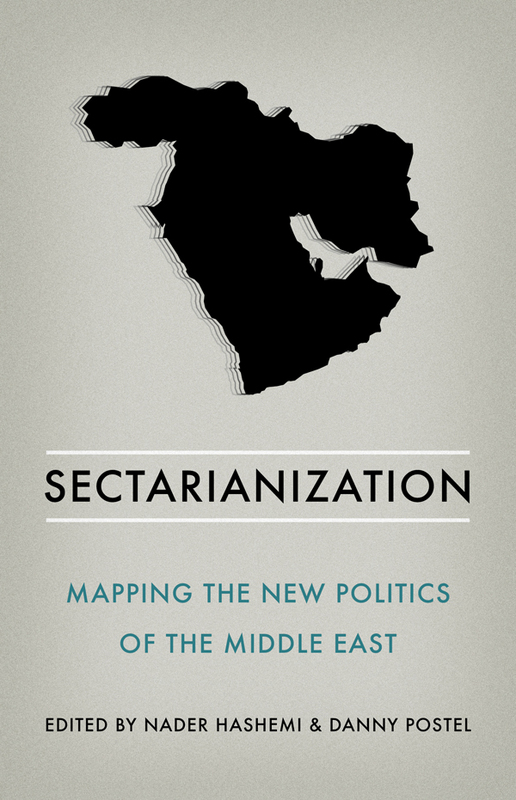 Rees argues that it is necessary to “attempt to reassert the centrality of imperialism to developments in the Middle East”. His sentiment reflects the attitude of some who see developments in Syria as simply the next phase of the US drive to recolonise the Middle East. 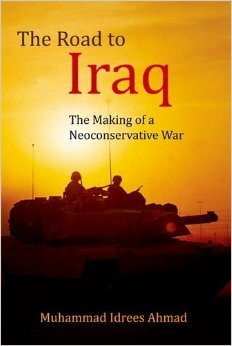 It is, they reason, a sequel to the 2003 Iraq War when Western governments and media used rhetoric about “liberation” and “democracy” to provide a cover for imperial conquest. The emphasis Galloway, Ali and Rees put on the imperialist threat is profoundly mistaken. Imperialism, in the sense of Western neo-colonialism, is not the main threat facing the masses of Syria, or of the Arab world as a whole. This can seem a sacrilegious statement to anyone who got their political education on the left in the post-9/11 world. After the 9/11 attack, when the US went to war on Afghanistan, there were a tiny number of political voices who stood against the tide and protested against the war. We were denounced as “knee-jerk anti-imperialists”. In those turbulent days we wore the “knee-jerk” accusation as a badge of pride. If the US military did it, we were against it. And we were right. In those years, anti-imperialism was a crucial starting point because US imperialism was the decisive element in world politics. The time for “knee-jerk anti-imperialism” has now passed. Not because US imperialism has disappeared from the Middle East, or shed its malevolent intent, but because the world has changed. The Arab revolution has transformed everything. We now live not in a “post-9/11 world” but in a “post-Tahrir world”. For so long the Arab masses were the victims of history. Tahrir showed they could be the agents of the future. Like every great revolutionary movement in history, the Arab uprising has sent shivers of fear through the hearts of the old order and its hangers on. Ranged against the revolution are innumerable reactionary forces. The imperialist powers are one of these, but they are only one. The Arab revolution is a revolution against imperialism, but it is more fundamentally a class struggle against the Arab regimes. These ruling classes have different relationships to imperialism, particularly to US imperialism. Mubarak was a close ally of the US and Israel. Assad painted himself as an opponent of the US (although this was mostly just rhetoric – Syria backed the first Gulf War and cooperated with the notorious US ‘renditions” program). But Mubarak and Assad had two crucial things in common with each other, and with the other Arab rulers. One, their regimes were authoritarian and undemocratic, ruling through the coercive power of a bloated and brutal security apparatus. Two, their policies had led to the escalating impoverishment of the mass of their populations, and a huge gap between the living standards of the masses and the ruling elite, with the latter enjoying extreme riches and every luxury. It is this class division – the alienation of the mass of workers, students, the poor and significant sections of the middle class from the regimes – which is the central antagonism of the Arab revolution. Yes, of course, as in every revolution or civil war, innumerable other forces will try and turn the situation to their advantage. And it is incumbent on the left to oppose imperialist intervention. But the intervention of these forces – whether it be the Russians, the US, the Saudis, Iran or the Israelis – does not automatically turn a revolution into a proxy war between great powers. To imagine that social revolution is conceivable without … revolutionary outbursts by a section of the petty bourgeoisie with all its prejudices, without a movement of the politically non-conscious proletarian and semi-proletarian masses against oppression by the landowners, the church, and the monarchy, against national oppression, etc. – to imagine all this is to repudiate social revolution. So one army lines up in one place and says, “We are for socialism”, and another, somewhere else and says, “We are for imperialism”, and that will be a social revolution! Only those who hold such a ridiculously pedantic view could vilify the Irish rebellion by calling it a “putsch”. Only a fool would deny that the imperialist powers are intervening in Syria, or that there are deeply reactionary elements present among the rebel forces. But the negative aspects of the Syrian revolt have been vastly overstated. One of the major charges originally levelled at the revolutionaries was that the revolt was being led by the reactionary and pro-US Syrian National Council (SNC), which is based in Turkey. It is now generally acknowledged that the SNC has negligible support inside Syria, and in no way represents those fighting the regime. Thus the attention of the opponents of the revolution has shifted to the Free Syrian Army (FSA), which is charged with being controlled by outside forces, and just as bloodthirsty and brutal as the regime. 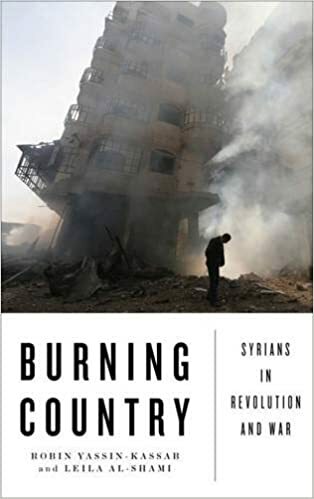 There are endless interviews by reporters from Britain and US news agencies with fighters in the FSA, as well as reports from Syrian and other Arab journalists who have been in Syria, which paint a completely different picture to that of the critics of the uprising. Doubtless some of these are written by propagandists for Western imperialism – but not all. Among the most credible reporters to write on Syria is Anand Gopal. Gopal has impeccable anti-imperialist credentials. His reportage from within Afghanistan over many years was eloquent denunciation of both the US occupation and the Taliban. When he writes in support of the Syrian uprising, as he did recently in an extensive article for Harper’s magazine, you have to listen. Fighters from the FSA started protecting demonstrations, quietly standing in the back and watching for Mukhabarat. For the first time, the balance of power shifted in favour of the revolution, so much so that the government forces could no longer operate openly. Party officials and secret agents vanished, leaving the town to govern itself. To fill the vacuum, citizens came together to elect councils – farmers formed their own, as did merchants, labourers, teachers, students, health-care workers, judges, engineers and the unemployed. In some cases, the councils merged with pre-existing activist networks called local coordinating committees. They in turn chose delegates to sit on a citywide council, which in Taftanaz and surrounding towns was the only form of government the citizenry recognised. Much of the narrative denouncing the FSA relies on the assumption that it is in some way a cohered force. There is much evidence that it is anything but. We did nothing there [in Turkey], just sat around in our tents and gave press interview. I told them I hadn’t defected to sit in a tent, I wanted to fight. They kept telling me to wait, that they had a plan, but nothing happened. One of the criticisms of the FSA is that it is being armed by the Saudis and the Western powers. The first thing to say about this is that it is mostly not true. And if you read the accounts of the revolutionaries, it is clear that they are not being swamped with Western arms. On the contrary, there is growing resentment towards the West precisely because they have refused to supply any weaponry. In this context, is it wrong for the Syrian revolutionaries to demand, and where possible accept, weapons from imperialists, the imperialists’ allies, or anyone else? Of course not. They have every right to do whatever it takes to defend themselves from the horrifying apparatus of Assad’s state. Demanding, requesting or accepting weapons or aid from an imperialist state does not make you an agent of imperialism. There are numerous historical examples of this. The most famous is the Irish. From the outbreak of World War One, Irish Republicans entered into extensive negotiations with Germany in an attempt to obtain weapons that they could use to rebel against the British. But the suggestion that the Republican movement was simply a pawn of German imperialism, or that the Irish struggle was not worthy of support because it attempted to source guns from the German High Command, is ludicrous. Let us assume that rebellion breaks out tomorrow in the French colony of Algeria under the banner of national independence and that the Italian government, motivated by its own imperialist interests, prepares to send weapons to the rebels. What should the attitude of the Italian workers be in this case? I have purposely taken an example of rebellion against a democratic imperialism with intervention on the side of the rebels from a fascist imperialism. Should the Italian workers prevent the shipping of arms to the Algerians? Let any ultra-leftists dare answer this question in the affirmative. Every revolutionist, together with the Italian workers and the rebellious Algerians, would spurn such an answer with indignation. Even if a general maritime strike broke out in fascist Italy at the same time, even in this case the strikers should make an exception in favour of those ships carrying aid to the colonial slaves in revolt; otherwise they would be no more than wretched trade unionists – not proletarian revolutionists. Another constantly-raised issue is the problem of the “militarisation” of the struggle. There are leftists who live in a liberal dream world in which the Syrian revolution had a choice between the “Tahrir road” of mass, unarmed demonstrations on the one hand, and civil war on the other. But the revolutionaries did not choose civil war – it was imposed upon them by the regime. That is not to say there are not problems with the militarisation of the revolution. One of the most obvious is it gives increased power to people with guns, and to established power structures on a local and regional level. It makes grass roots control more difficult. And undoubtedly those who can control the arms supply into Syria will pursue their own agenda, and try to bend their clients to their will. It is at this point that many leftists argue against the SNC and some of the high-profile defectors from the Assad regime on the basis that they are tied to imperialism. They might well be, but what really indicts them is their determination to crush the Syrian revolution, to limit it to a version of what happened when Mubarak fell in Egypt – a transfer from one figurehead of a despotic regime to another, with no change in policy. So far, that has been the great betrayal of the Arab revolution. In Egypt, SCAF has worked hand in glove with the CIA and Mossad – there is no denying it and it is a disgrace. But the biggest disgrace is not primarily to do with imperialism. What keeps the revolution going is that there is no genuine democracy in Egypt, and there is no justice for workers. The masses who made the revolution still confront the same basic apparatus and the same economic problems that they did before January 25. In that sense, although the terrain of the struggle is very different, the same revolution is going on in Egypt, in Syria, and across the Arab world. The single most important fact about Syria – and it is the single most important fact about the Arab revolution as a whole – is that is has not been defeated. The protest was a ritual of survival, part of a revolution that seemingly can’t be won, yet somehow refuses to be extinguished. On a mound of twisted metal and concrete shards that had once been a house, a group unfurled a banner that read: EVEN FROM THE RUBBLE, WE WILL FIGHT THE REGIME. Pingback: Trash Revolt: Mountains of garbage piling up in Egypt « BGTV MEDIA ONLINE – REAL HISTORY-REAL NEWS-REAL PEOPLE- KNOW THE TRUTH.